Mr. Harrington has been our Lead Independent Trustee since 2015 and one of our trustees since 1995. Mr. Harrington is chair of the Board's Compensation Committee. Mr. Harrington is a certified public accountant and the Executive Director and Chairman of the Yawkey Foundations, one of the largest charitable organizations in New England. 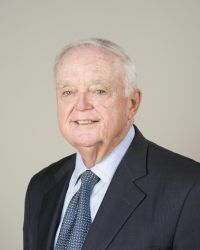 Mr. Harrington is the former CEO of the Boston Red Sox Baseball Club and a former director of Fleet Bank, NA. Ms. Fraiche has been one of our trustees since 2015. Ms. Fraiche is chair of the Board's Nominating and Governance Committee. Ms. Fraiche is Senior Counsel of the law firm of Baker, Donelson, Bearman, Caldwell & Berkowitz, PC. Ms. Fraiche was previously a shareholder of that firm from 2004 until 2017. She practices law in that firm’s Health Law and Public Policy departments. 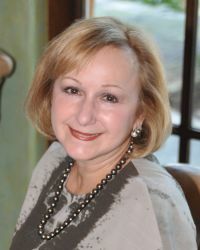 Among numerous other business and civil leadership positions, Ms. Fraiche serves as Secretary of the Board and Chair of the Real Estate Committee of Woman's Hospital of Baton Rouge, LA, a member of the Investment Committee of the Baton Rouge Area Foundation, a member of the American Hospital Association Council on Governance and the President of the Louisiana Supreme Court Historical Society, and she previously served as Chair of the Louisiana Health Care Commission and Chair of the Board of Trustees of Loyola University of New Orleans, LA. Mr. Lamkin has been one of our trustees since 2007. Mr. Lamkin is chair of the Board's Audit Committee. Mr. Lamkin is currently a partner in Ackrell Capital LLC, an investment bank, and Ackrell & Company, an investment advisory firm. Mr. Lamkin has experience as a financial consultant and previously held positions as a banker with large investment banks. Mr. Portnoy is President and Chief Executive Officer of The RMR Group Inc. (Nasdaq: RMR) and The RMR Group LLC. He is the Chair of the RMR Executive Operating Committee. Mr. Portnoy also serves on the Board of RMR and the Boards of several companies managed by RMR, including: Hospitality Properties Trust (Nasdaq: HPT), Senior Housing Properties Trust (Nasdaq: SNH), Select Income REIT (Nasdaq: SIR), Government Properties Income Trust (Nasdaq: GOV), Industrial Logistics Properties Trust (Nasdaq: ILPT), Tremont Mortgage Trust (Nasdaq: TRMT), Five Star Senior Living Inc. (Nasdaq: FVE), TravelCenters of America (Nasdaq: TA), RMR Real Estate Income Fund (NYSE American: RIF), Sonesta International Hotels Corporation (Private) and RMR Advisors LLC as well as Tremont Realty Advisors, both SEC registered investment advisors. Prior to joining RMR in 2003, Mr. Portnoy held various positions in the finance industry and public sector, including working as a banker at Donaldson, Lufkin & Jenrette and ABN AMRO, working in private equity at the International Finance Corporation (a member of The World Bank Group) and DLJ Merchant Banking Partners, as well as serving as Chief Executive Officer of a telecommunications company. 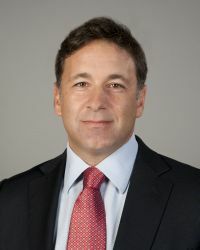 Mr. Portnoy currently serves on the Board of Directors of the Pioneer Institute, and as the Honorary Consul General of the Republic of Bulgaria to the Commonwealth of Massachusetts, and he is formerly a member of the Board of Trustees of Occidental College and the Board of Governors of the National Association of Real Estate Investment Trusts (NAREIT). Mr. Portnoy graduated with a Bachelor’s degree in Public Policy from Occidental College in 1993. Mr. Murray has been our Managing Trustee, President and Chief Executive Officer since 2018. 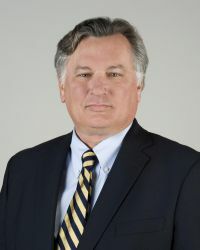 He was President and Chief Operating Officer from 1996 to 2018. Mr. Murray was our Treasurer and Chief Financial Officer from the time we completed our initial public offering in 1995 until he became our President in 1996. Mr. Murray oversees all of HPT's property acquisition and disposition activities. 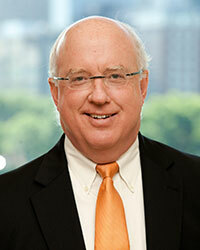 Mr. Murray has held various positions with related entities of HPT since 1993. Mr. Murray is on Marriott International's Owner Advisory Council and is a member of the Urban Land Institute Hotel Development Council.